On Sunday September 20, 2009 the Castro Valley Educational Foundation hosted its first Health and Fitness Fair at Castro Valley High School. 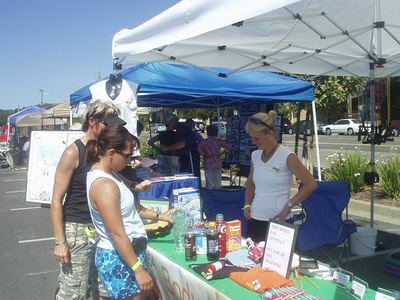 Attended by almost 1,000 community members, Body by Pam was there to offer nutritional information and exhibits as well as body fat testing, demonstrational exercises and information about our studio. Although the weather was HOT, we enjoyed talking with the community and look forward to more events like this one.